BOSTON (August 16, 2017) - WinnCompanies, an award-winning national developer and manager of high impact affordable and market rate housing communities, today announced the development team for the $1.6 billion redevelopment of New England's first public housing complex, Mary Ellen McCormack in South Boston. The AFL-CIO Housing Investment Trust (AFL-CIO HIT) will serve as the financing partner for the Boston Housing Authority (BHA) project, creating access to the capital needed to rebuild the 27-acre site into a vibrant mixed-income community, including 200 workforce/middle-income apartments, with a thoughtful design that embraces the needs of existing residents and connects with the surrounding neighborhood in a positive way. We look forward to working with WinnCompanies and the BHA, and appreciate their commitment to building affordable housing, and building it with 100 percent union labor, said Ted Chandler, Chief Operating Officer of the AFL-CIO HIT. The AFL-CIO HIT is a $6 billion investment fund that has financed more than 120,000 units of union-built housing across the country. More than two-thirds of the units financed are affordable to low and moderate income families. It is directed by Stephen Coyle, former director of the Boston Redevelopment Authority, and is recognized as one of the earliest and most successful socially responsible investment programs. The proposed redevelopment would take place over four phases, paying close attention to the needs and concerns of relocated residents. The current proposal calls for a total of approximately 3,000 new units, including replacement of all existing units, creation of workforce (middle-income) units, as well as market rate apartments and home ownership condominiums. In addition, each building's units, regardless of affordability, will be of identical quality and integrated evenly among each newly constructed building. In the last eight years, the Housing Investment Trust has invested nearly $400 million of its capital in 12 developments in Boston, Chandler said. These investments represented over $1 billion in total development investment and spurred $1.5 billion in total economic impact in Boston's neighborhoods. The projects also generated 3,330 union construction jobs, and created opportunities for graduates of BHA's Building Pathways program to begin careers in the construction industry with the Boston Building Trades. The redevelopment of the Mary Ellen McCormack community will create similar opportunities. The BHA's designation of WinnCompanies as developer kicks off a lengthy city, state and federal design review and approval process that will include extensive input and close collaboration with resident and community groups. Project Management Consultant: Pinck & Co, Inc. The team we have assembled on behalf of the BHA and Mary Ellen McCormack residents brings with it two centuries of combined experience on large-scale, phased mixed finance redevelopments, said WinnCompanies CEO Gilbert Winn. Our collective goal is to create a 21st century neighborhood where the residents are the highest priority, not just through new homes and new community amenities, but through social and job programs designed to create a better quality of life and the chance to pursue brighter futures for themselves and their families. The WinnCompanies plan was one of five proposals that BHA received in response to a Request for Proposals for the redevelopment. 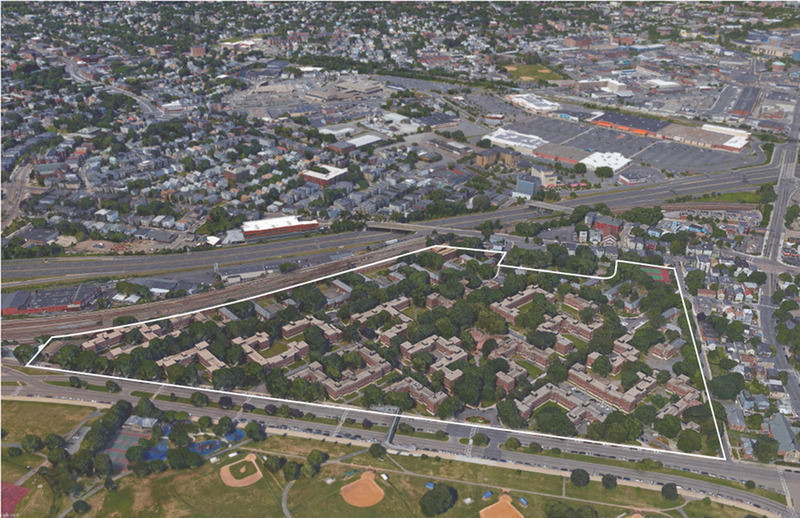 A selection committee comprised of residents of the Mary Ellen McCormack public housing development and BHA staff reviewed proposals and interviewed all teams that submitted proposals. The WinnCompanies team received high points from the selection committee for its demonstrated model for strong resident partnerships and robust resident services, items which are a priority for existing residents at the site. The City of Boston and the BHA announced the company's designation August 11.